Winter has its own charm, but it's still a difficult season for both humans and garage doors because the low temperatures create an increased need for warm temperatures and the mechanical parts of the system are hassled. Although, it is not obvious at first glance, the metallic parts are highly affected by the abrupt weather changes and that can create serious problems to the entire mechanism. Manufacturers suggest lubrication maintenance of the mechanical parts every six months, but depending of the cold and the overall temperatures in New York, you may need to do it more often. You should get high quality lubricants from stores in Port Washington because they can help garage door springs maintain their flexibility and reduce the obnoxious noise during these hard months. You may even need your hair dryer to melt down the ice around your door and often you may have problems with the bottom seal, which must be checked and replaced often because it can protect your property during the winter and ensure the good insulation of the garage. 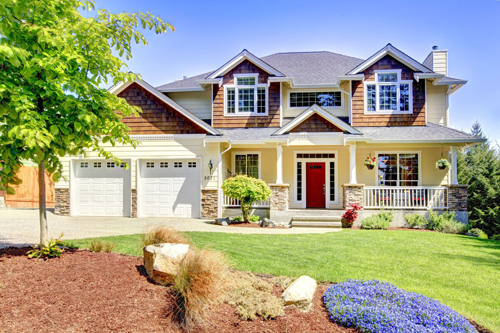 Some things must be done beforehand and usually autumn is the best season to get busy with the cleaning of the mechanism and garage door maintenance. When the door is clean, you can detect problems hidden underneath the dirt that must be taken care of before the mechanism betrays you and stops working in a freezing winter day. When the temperatures are very low, there is a high possibility that you will be pressing the garage opener remote, but the door won't open. You will need to unplug the opener and use the release cord to open the door manually. It will be helpful to keep opening and closing the door several times until you are sure that the garage door rollers are sliding normally onto the tracks. Then, you can connect the opener again and try to open the door automatically. 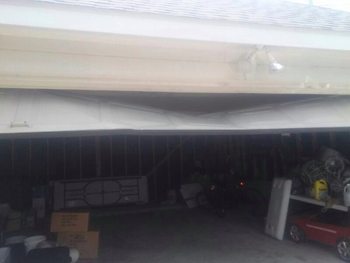 You must never leave your garage door asleep for long. Even if you don't have to take the car out for a few days, you should open and close the door once a day to keep it rolling and avoid the concentration of ice at the bottom.